Revised and extended Nokia’s DITA-based RESTful Places API developer documentation in preparation for the initial public release via the Nokia Developer forum (now at developer.here.com). 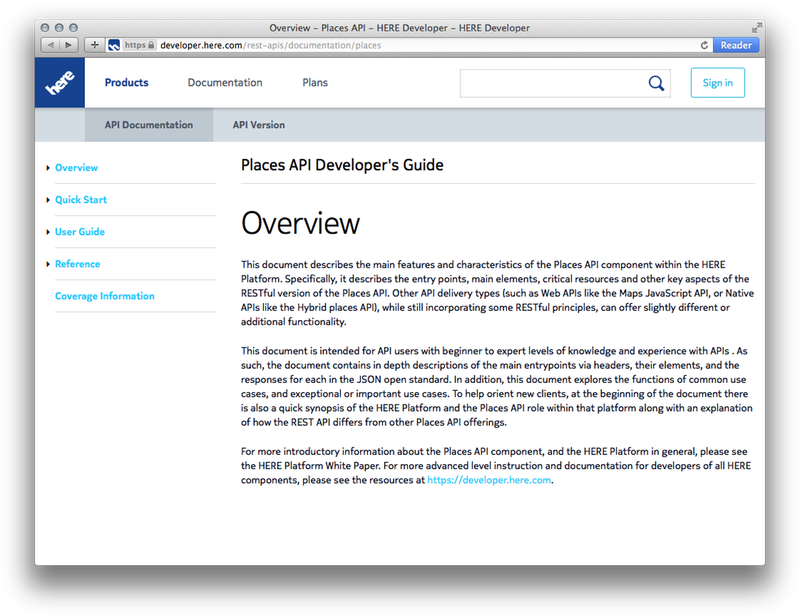 Nokia’s RESTful Places API (or “Places API”, for short) is a web service API that allows developers to provide access to Nokia’s Places service used in Nokia Maps in their own applications. Customized DITA Open Toolkit plugins to autogenerate output via Nokia’s in-house continuous integration solutions. Coordinated Places API documentation production processes with Nokia’s worldwide network of DITA experts.